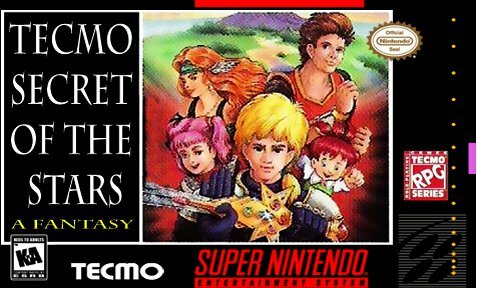 Secret of the Stars for Super Nintendo includes a battle system that follows the traditional RPG battle system where the party trades blows with opponents in simple turn-based fashion, the player selecting all commands for the following round of combat and then watching the results, such as in the Dragon Quest games. Play switches between two parties throughout the game. Certain areas are inaccessible without the right party.